In the first of many collaborative efforts with artists, the Windows Phone team has honored London-based graphic designer Levi Freeman with the first available Windows Phone wallpaper collection. This first collaboration is a nature series, shot and developed by Levi Freeman himself, and now available with the Windows Phone team’s stamp of approval. To use the ones Levi created, you’ll first need to save his photos to your phone. If you’re reading his post on your PC, use your phone to scan the QR code for the wallpaper you want, tap and hold the image, then tap Save Picture. If you’re reading his blog on your phone, just tap the QR code image, then tap and hold the wallpaper and save it to your phone. Finally, this how-to article shows you how to change wallpapers on your lock screen. If you are an aspiring artist or designer, we urge you to contact the Windows Phone team and be honored as the next artist to bring an official collection of wallpapers to the Windows Phone. 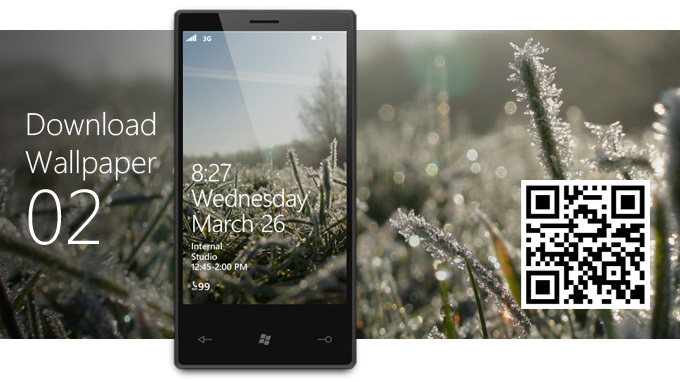 We can surely say this first available collection is truly destined for any Windows Phone device. The colors pop and the scenery is impressive on each of these wallpapers.